What Are The Smartest Bets To Make in Roulette? Making smart bets at the roulette table really boils down to just one question - are you playing European roulette or American roulette? On an American roulette wheel, you have one extra number - 00. 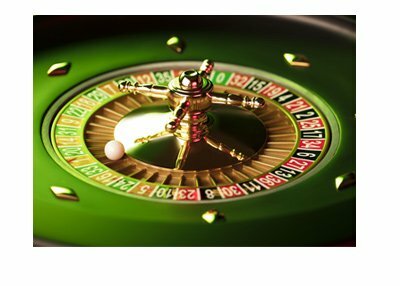 This extra number decreases the expected value of each and every bet on an American roulette wheel, which means that over time, you will lose money faster on an American roulette wheel compared to a European roulette wheel. Don't believe me? The expected value for each $1 bet on an European roulette wheel is -$0.027, while the expected value on each $1 bet on an American roulette wheel is -$0.053. That's a big difference over the course of a year's worth of roulette. Ok, so let's say that you have decided to play exclusively on European roulette wheels. That's great. What is the best bet that you can make to maximize the amount of money that you will win? The answer - all of the bets have the same expected value over time. If you decide to put $100 down on 0, you would get a 35 to 1 return on your money if it hits. On the other hand, if you decide to put $100 down on a bet on red, your odds for winning are an even 1-1, meaning that you will double your money if "red" ends up hitting. Over time, however, a bet on red and a bet on 0 will have the same outcome, and that is negative $0.027 for every dollar wagered. In addition, there is no such thing as a bet having better odds just because of previous outcomes. For instance, just because "red" hits three times in a row doesn't mean that there is a better chance of black hitting on the next spin. Previous results are irrelevant, and red could just as easily hit as black, even if red has hit the last three spins in a row.